Mediterranean Shipping Company (MSC) has an innovative, flexible and unique approach to shipping that has allowed the company to grow significantly over the last twenty years. Founded in 1970, MSC is now the biggest user of the South African ports and by 2003 was the second biggest container carrier in the world. global sailing schedule covering 200 routes and calling at 500 ports. 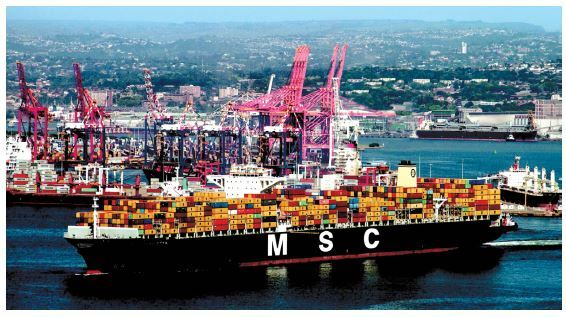 MSC provides global coverage, linking South Africa directly with Europe, UK, USA, Asia, Middle East, India, Pakistan, Far East, Australia as well as the key ports of Africa's West Coast, East Coast and the Indian Ocean Islands, South America, Madagascar and Mozambique. MSC's dramatic growth over the past decade can be attributed to two things: the quality management system that aims at consistently improving upon service levels within the shipping community and MSC's willingness to initiate change to meet the requirements of clients and principals. MSC has significant investments in the South African property market, with instantly recognizable office buildings worth R240 million in Durban, Cape Town, Port Elizabeth, Johannesburg and Pretoria. The Italian Village in Umhlanga Ridge was built to accommodate MSC's Italian personnel and their families, and comprises seven houses, a crèche and day care centre. Built in 1996, this complex is currently valued at R35 million. MSC's hugely successful technical division, which was expanded in 1998, operates a world class, full scale engine repair and maintenance facility, which is headed up by a team of highly trained Italian and South African technicians and has a staff complement of over one hundred members. critical issue for the motoring industry. From a socio economic perspective MSC mainly contributes to charities such as the Domino Foundation, Just Us 4 Children, Reach for a Dream and the upliftment of the community of Umzimkhulu, which is one of the poorest and highest HIV rates in the country. MSC funds various schools and provides access to bursaries to its employees' children. Learnership: Freight Forwarding & Customs Compliance. FNB / KZN Top Business Portfolio Awards 2009 (Transport Category) as well as being nominated in the top three companies in 2010, 2011. Lloyds Loading List / Freightliner Shipping Line of the Year (1996, 1998, 2000, 2003, 2005, 2007, 2011). PMR Golden Arrow Award - Best Shipping Company in Kwa-Zulu-Natal (1999, 2010). PMR Diamond Award 2011, 2012, 2013, 2014, 2015, 2016, 2017 - Outstanding 1st overall. 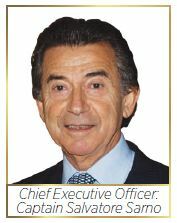 Shipping Company of The Year by Containerisation International 1999, 2003, 2007, 2011. Finalist in The KZN Top Business Awards 2013, 2014, 2015, 2017. Winner of the prestigious KZN Exporter of The Year and Service Provider Category 2013, 2014, 2015, 2016, 2017 - Sustainability Exporter of the year. 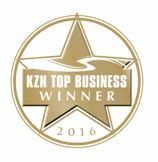 Winner of The KZN Top Business Awards in Transport, Storage and Communication - 2016. MSC attributes its success to the extremely close relationships that they have built with clients; a strategy they anticipate will move MSC into the number one position in the world in the future.